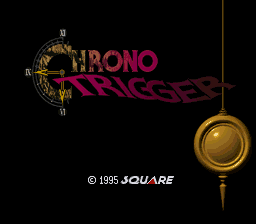 After a long month of grueling work, a patch for KWhazit’s Chrono Compendium Chrono Trigger Retranslation is out. 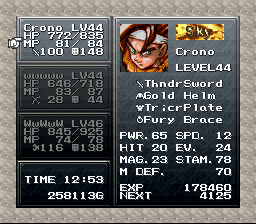 In addition to inserting the entire script, the hack uses a fix to mimic Ayla’s nickname for Crono, adds in Sky / Dark elemental icons to replace Lightning / Shadow, and restores the Japanese ending art for the Marle searching for Crono with the Epoch ending. 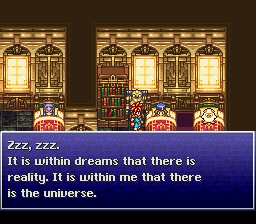 The only external changes are a pre-title screen and changes in the ASCII credits; there are no easter eggs. The linked page also connects to a “making-of / how-to” feature and a pack of three patches allowing users to implement the changes described above on personal projects. So, surprise! And have fun. Vehek Graphics created the title screen and located lost lines in March. Lena Andreia Graphics edited the Sky and Darkness menu elemental icons and made the final site banner.